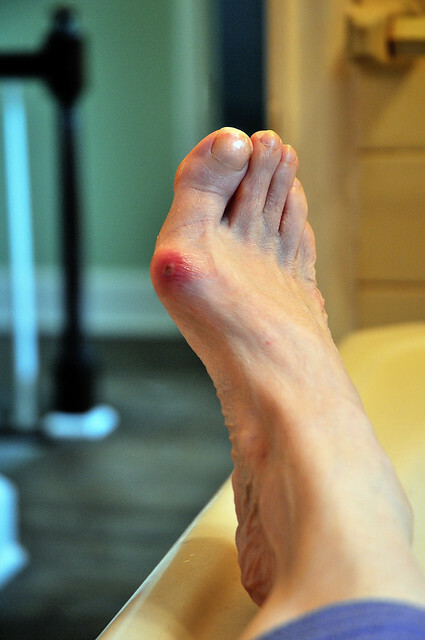 The Wall Street Journal tells the story of 76-year-old Floria Antell who was told she needed bunion surgery on her left foot.1http://www.wsj.com/articles/cures-for-common-foot-problems-without-surgery-1441036678 The procedure would involve eight weeks of rest and cutting part of the bone in her foot, which she didn’t want to do because she led an active lifestyle with Pilates three times a week and two miles of dog walking a day. Instead, she saw another physician who recommended that she try wearing wider shoes with custom foot insoles designed to take the pressure off her bunion to prevent worsening and correct pains related to her flat feet. To deal with the immediate symptoms, she was also given anti-inflammatory medication and non-invasive shock wave therapy. She was fully healed after six months of treatment and never had to cut back on her fitness routine. We don’t automatically issue custom foot insoles to every patient that walks through our doors, but they do have a wide range of potential applications. Individually molded shoe inserts are generally a first line treatment for foot pathologies like flat feet or overly high arches, which cause a build up of pressure on portions of the foot. Orthotics change the distribution of force, add cushioning to the shoe, and add balance to a person’s gait cycle. For issues related to the ankle, there are a number of different braces we can recommend. Shock wave therapy has been used in the treatment of kidney stones and other urological disorders for many years, but the FDA has recently expanded treatments to include chronic foot and ankle issues like heel and tendon pain.2http://www.heel-that-pain.com/other_treatments/eswt.php With Extracorporeal Pulse Activation Treatment (EPAT), the doctor applies gel to the affected area and massages it with a wand delivering low-level acoustic pressure that naturally stimulates increased circulation and tissue healing. Ultrasound-guided injections offer a more precise way to hit the root cause of pain and suffering.3http://www.ncbi.nlm.nih.gov/pubmed/19321101 Materials may include platelet rich plasma, therapeutic substances, cortisone, or anesthetic medication. Often, blood flow and oxygen levels are insufficient for lower extremity repair. Injection therapy triggers the body to focus on the area and deliver supplies there immediately. With the case of platelet rich plasma, we can precisely deliver an abundance of growth factors and healing materials directly to the injury site. In one study, nine in 10 patients received complete relief from injection therapy, while one person reported 50% improvement.4http://www.auntminnie.com/index.aspx?sec=ser&sub=def&pag=dis&ItemID=1344 Elite athletes often use injection therapy as their “secret weapon” to get back to the game more quickly. About 90 percent of foot issues can be improved with physical therapy and strength training instead of surgery. We especially see gains for Achilles tendon issues that do not involve complete tears. Often, the Achilles is strained when calf muscles are weak, so by strengthening the entire leg, we create better force absorption and minimize future injury. Some of the exercises we do are as easy as standing on one foot at a time to strengthen the ankle, tracing the letters of the alphabet to maintain foot flexibility, or using TheraBands for resistance strengthening. If you live in or near Manhattan, NY, contact The Center for Podiatric Care and Sports Medicine to explore a full set of nonsurgical options for your foot and ankle problems. » NFL News: Is Dez Bryant’s Jones Fracture Prognosis Too Optimistic?